When winter hits in Minnesota, we don’t hibernate. I love a good pajama and hot chocolate day, but we’d never survive winter if we didn’t regularly find fun activities throughout the season. 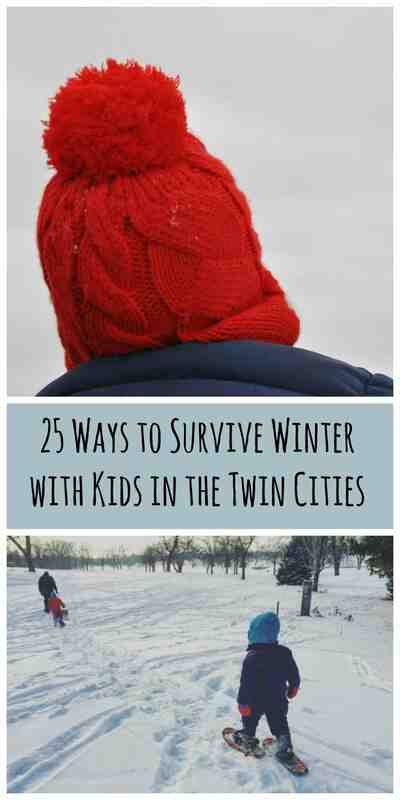 Parents know that to survive winter with kids in the Twin Cities, you must find things to do! 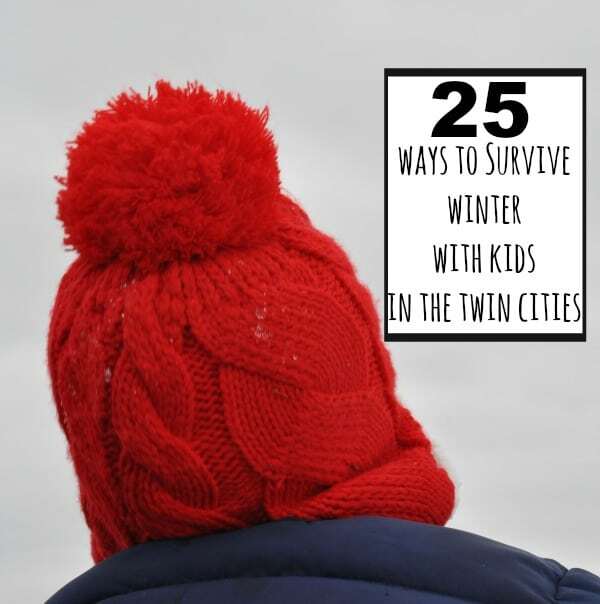 Here are 25 fun ways to survive winter with kids in the Twin Cities. Snowshoeing as a family has become one of our favorite winter sports. Snowshoeing gives you a chance to be outdoors and get a workout in with your family. We bring a sled for when the kids get tired and then we just pull them along. Parents can put littles in carriers on their back and kids three and up are usually able to keep themselves upright and walking along on their snowshoes. We have our own equipment and go to our nearby golf course but you can also rent snowshoes from the Minnesota Department of Natural Resources and check out their park trails. Not feeling like going outside or it’s one of those -10 below days? Indoor play areas are a great option. MinneMama Adventures has a great list of Mall Play Areas Around the Metro, Family Fun Twin Cities has a list of Metro-Area Indoor Playgrounds broken up by areas of the Twin Cities and the Twin Cities Moms Blog has a really nice comprehensive Indoor Play Areas guide that includes open gyms and waterparks. Visiting a Twin Cities craft beer taproom can be a fun family activity. We like to bring board games, coloring books and tinker toys for the kids. You get really nice one-on-one time with your kids doing an activity and at the same time can enjoy really great Minnesota craft beer. At most taprooms, you can order food from a rotating food truck, bring your own from home or have a pizza delivered. Our very favorite, family-friendly taprooms are Summit Brewing Company, Bad Weather Brewing Company and Bauhaus Brew Labs. Here’s a great list of all the breweries in Minnesota. In order to survive winter, you need all the right warm gear like big cozy sweaters and snow pants. We know that kids grow so fast that sometimes mid-season you are finding yourself needing new winter hats or replenishing the constantly missing mittens. Arc’s Value Village Thrift Store is a great place to go to get used and affordable gear and a great place to pick up a used game, movie or book you can enjoy this winter with the kids. Getting your kids in and out of your house during the winter is exhausting and then add on cooking dinner. 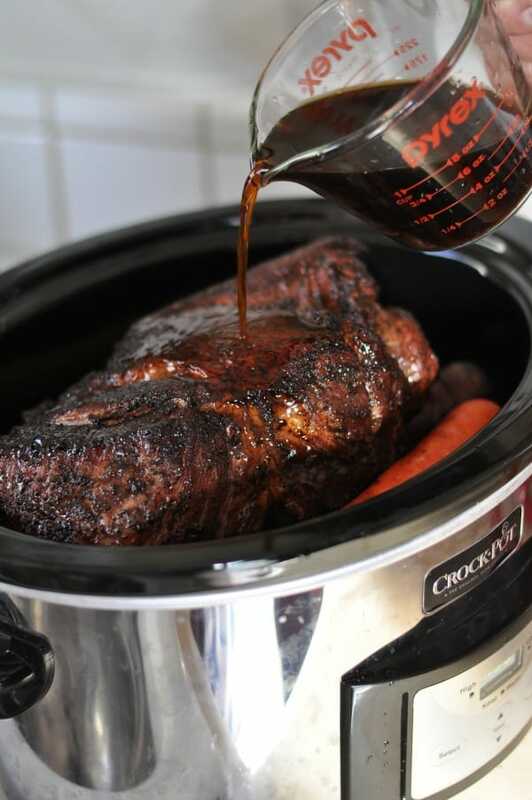 I become best friends with my Crock-Pot slow cooker during the winter and love that dinner is already made when I get home. 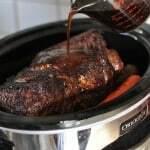 Some of the most popular Crock-Pot recipes on my blog include: Crock-Pot Baked Potatoes, Crock-Pot Ham, Butternut Squash Soup, Maple Bourbon Pot Roast and Chocolate Coffee Pot Roast. Taking the whole family to the movies can be expensive but at the Riverview Movie Theater tickets are super affordable. Children under 11 are $2 and Adult evening tickets are $3 and $2 before 6pm. Catch a movie or watch a special sporting or film event together in their beautiful 1950s style theater and enjoy real butter popcorn! Paramount to our winter survival as parents is hot coffee. 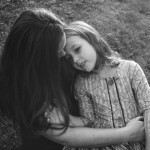 Twin Cities Moms Blog has put together a great list of Kid-Friendly Coffee Shops in the Twin Cities so you can get your coffee and maybe even sit down for 5 minutes to enjoy it! One of the places on their list is Ginko in St. Paul, the inspiration for my Monster Cookie recipe! 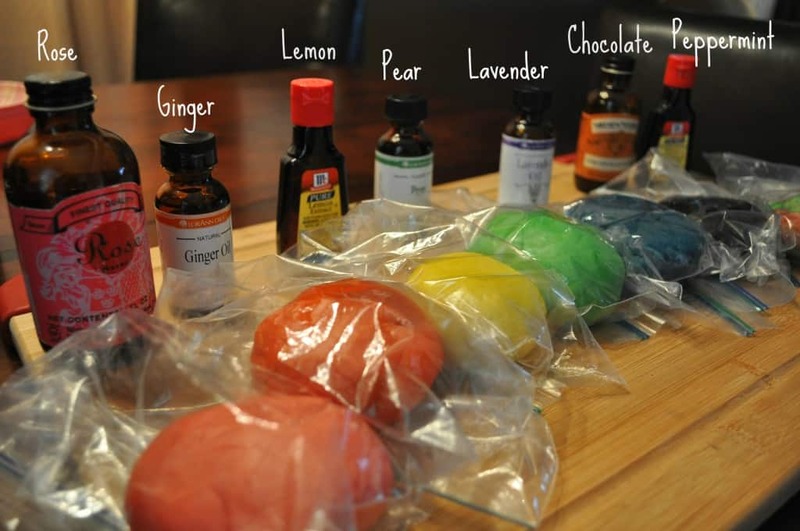 When the weather is too cold to head outside, making homemade play dough is one of our favorite cooking projects to do with the kids. 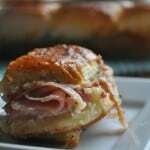 The recipe is really simple and you can add your favorite extracts and colors. I like to take out kitchen gadgets like a garlic press, pizza cutters and cookie scoops. Despite the cold weather, we don’t give up swimming in Minnesota during the winter. It’s a great way to get the wiggles out of the kids and a take a break from the house. We really like the Inver Grove Heights Indoor Water Park because they offer times on Saturday morning to swim which is really hard to find in the Twin Cities because of swimming lessons so most pools don’t open to the public until after 12pm (prime nap time). We love their family changing area and the reduced rate for the quiet swim times and twilight Friday night rates but really our favorite part is that they have an adult hot tub and my husband and I rotate watching the kids so each of us gets a chance to enjoy it-perfection during the winter! 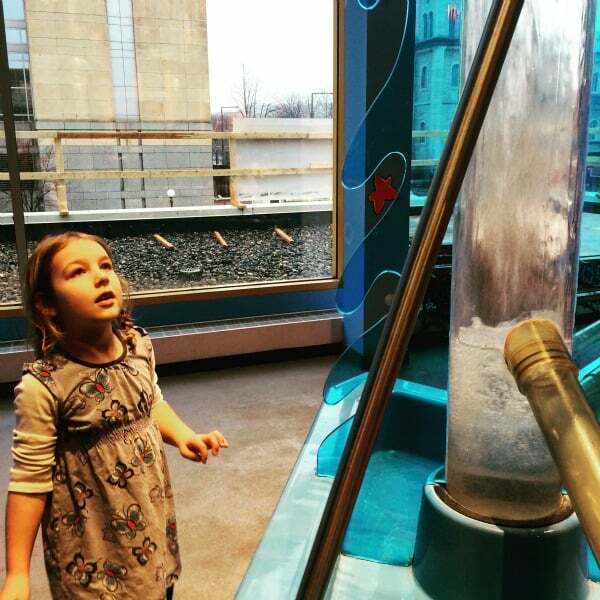 One of our very favorite ways to survive the winter with kids in the Twin Cities is visiting the Minnesota Children’s Museum. Filled with rooms to play, children can explore activities ranging from making bubbles and manipulating water tubes to dancing to disco classics. The museum is under renovation to make it even bigger and better but it is still open for play with lots of great options for children. The Museum has also opened a play space at the Mall of America and Simplicity in the Suburbs has a great list of Things to Know Before You Go to the Minnesota Children’s Museum Pop Up Museum at MOA. Every year about 1,000 people participate in the Twin Cities donut crawl, if you missed out on the sold-out event, create your own donut crawl with your family this winter and check out the Twin Cities best donut shops. 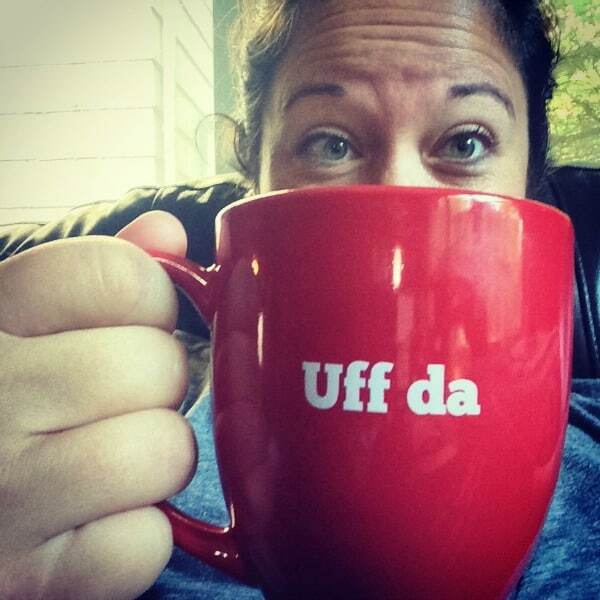 MinneMama Adventures has a great list of her 7 favorite donut shops in the Twin Cities. My favorite is PJ Murphy’s Bakery in St. Paul. Weekend breakfast is a perfect time to cook with your kids. 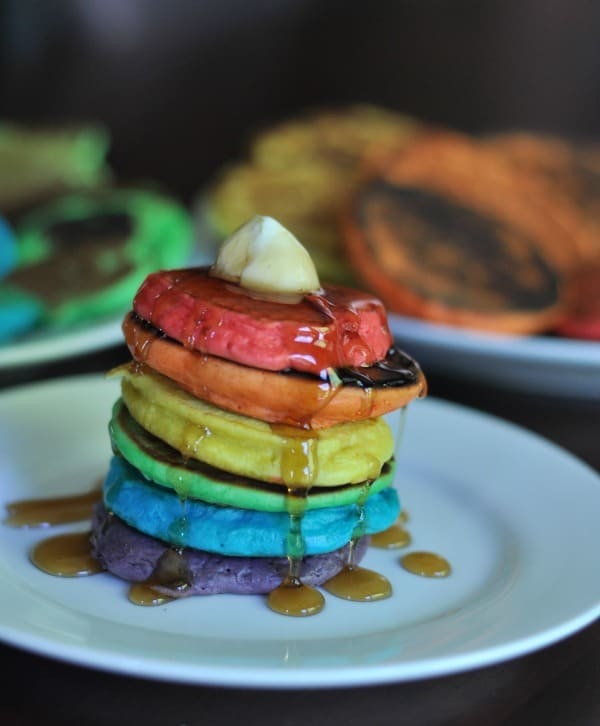 When the winter just seems to be endless and we need a little color in our life, making Rainbow Pancakes pops a little happy right into our winter. Your local library is always a gem for activities in the Twin Cities especially during the winter. Perfect for just going and picking up new books and movies for your house, also be sure to check out their special events. Our local library has a reading program where new readers can read to pets to help the children feel more comfortable practicing their reading. I’ve noticed when visiting other families in the Twin Cities, we all have a large selection of board games! Playing games helps us get through those too cold days and also is a fun family activity on weeknights. Right now we have an ongoing Uno contest in our house! Family Fun Twin Cities has a really great list of 45+ Fun Indoor Games broken up by age group. During the summer our family loves going to Sea Salt and in the winter it is closed so we’ve been on the lookout for a family-friendly place to enjoy some fried fish and we found it at Anchor Fish & Chips. This is a very popular place so go early for dinner and bring activities for the kids. The service is great and the food is outstanding (obviously get the fish and chips, but try their poutine too). And after dinner, have your spouse pull the car around the block over to the Dangerous Man Brewery and run into their growler store and pick up a growler or crowler. Try their Peanut Butter Porter and their Sour. When our mild winter gives us little ice on our lakes, you can head to the Winter Skate, Depot or Roseville Oval for great family-friendly ice skating in the Twin Cities. If you are ready to get out of the house and make a difference, volunteering is a great way to make an impact this winter. Skidaddlers has a great list of Family-Friendly volunteer opportunities in the Twin Cities. The kids always have a great time checking out the Como Zoo but my favorite thing to do is check out the Conservatory. When you are needing some warmth and a vacation isn’t on the horizon for your family, make a stop here, take off your winter coat and soak up the warmth and beautiful flowers. 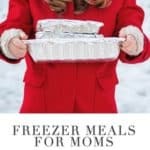 While the Crock-Pot does much of the meal cooking in our house during the winter, I also rely on preparing freezer meals that are easy to assemble and then reheat for my family. 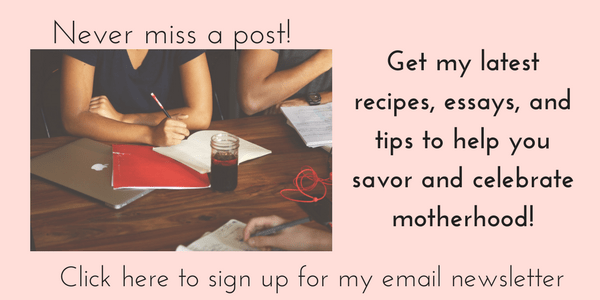 You can find some great winter recipes like Creamy Chicken Wild Rice Soup and Tater Tot Hotdish in my ebook, Freezer Meals for Moms. Not everything has to be reserved for summer in Minnesota, and that holds true for ice cream. Hot fudge tastes better in the winter. No seriously, it is true. One of my readers, takes her kids to the ice cream shop in their pajamas and they have ice cream for breakfast on special days. How fun right? 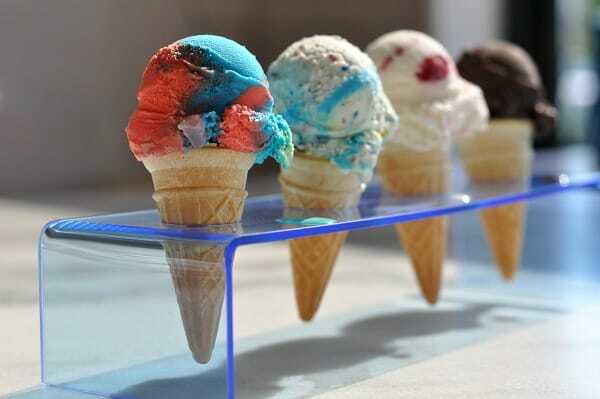 My favorite ice cream shop is Cold Front in St. Paul and you can read more about it and my other favorites here in my post about the Best Ice Cream Shops in the Twin Cities. The Nook is known for their amazing burgers, but do you know what’s in the basement at the Nook? A bowling alley! 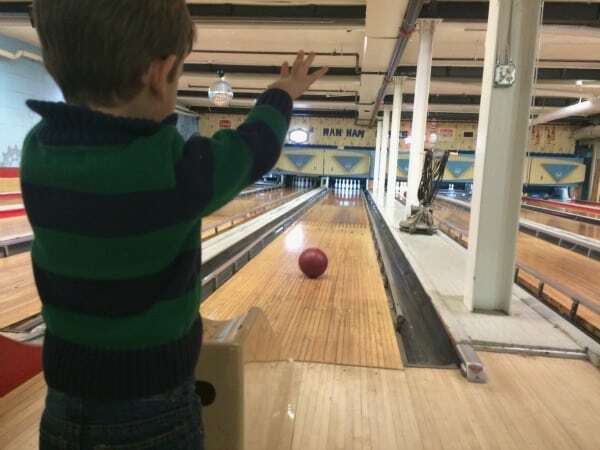 The Ran Ham Bowling Alley has several lanes and you get to do old-school scoring. They have bumper bowling and a ramp for the kids who can’t roll the ball yet. The best part is that you can call ahead, reserve a lane, bowl and order burgers and beer and no waiting for a table! At the Midtown Global Market your family can each pick out their own dinner from an array of awesome Twin Cities food vendors. On Friday nights, it is Family Fridays from 5-8pm and the event features music and activities for the whole family. I should also tell you there is a brewery in the market and you can bring your food right into the taproom and parents can enjoy a beer from Eastlake Brewery & Tavern. Create your own special snow tradition. Galit from These Little Waves suggests several ways for creating winter traditions that help you celebrate winter (like maple syrup on fresh snow) with your family and spread some kindness to our kiddos. 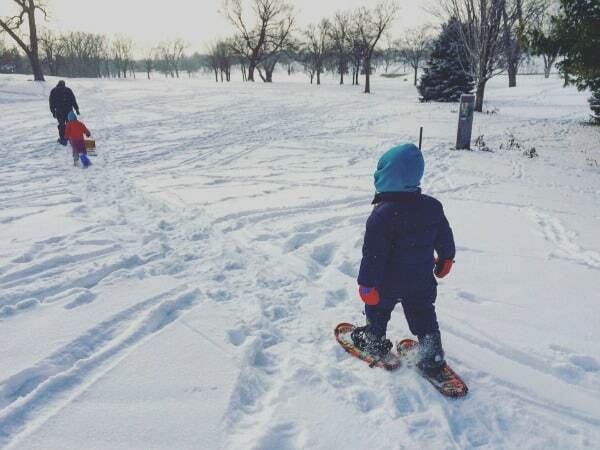 Get yourself an adult pair of snow pants and hit the hills with your kids this winter. There are lots of great neighborhood locations for sledding (check your local park and recreation web page for details). If you are wanting to do some snow tubing this winter, check out this list of Twin Cities locations from Family Fun Twin Cities. 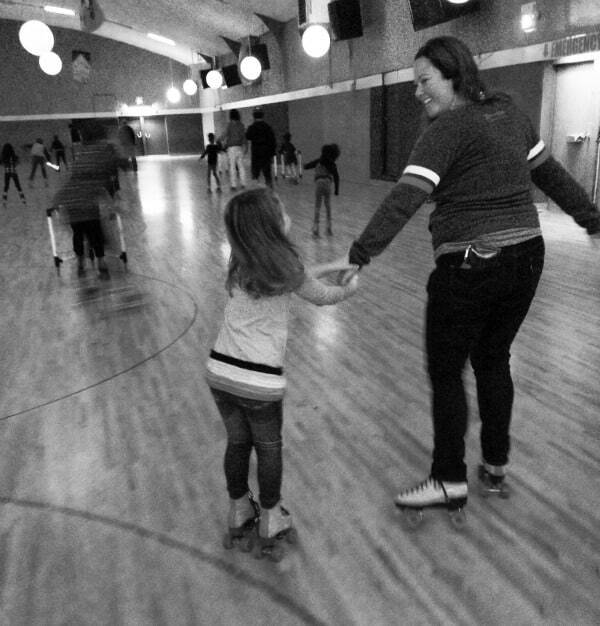 We recently took our kids roller skating at Roller Garden and I was quickly transported back to my teenage roller rink days. Check their calendar for family-friendly open skate times. For littles you can rent skate walkers that are very helpful so your back doesn’t go out propping them up all afternoon. You can sign up for their email club and get coupons. However you decide to spend your winter time with your family, I hope your hearts and bellies are full this season! 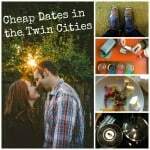 Keep up with all the great family-friendly activities in the Twin Cities with calendars from these local bloggers Twin Cities Moms Blog, Family Fun Twin Cities, MinneMama Adventures, Skidaddlers and Red Current. 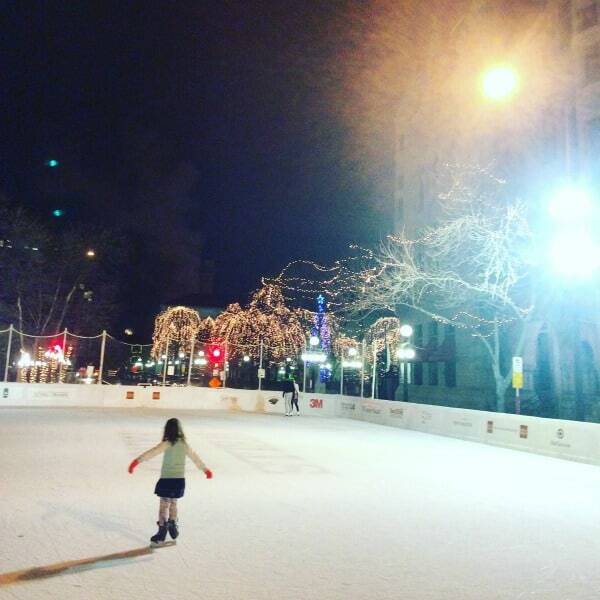 What are your favorite winter activities with kids in the Twin Cities? 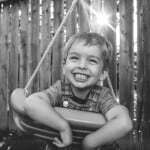 This entry was posted in Freezer Meals, Joy, minnesota and tagged activities, kids, Minnesota, twin cities, winter by Alice Seuffert. Bookmark the permalink.